Tehran, Feb 11 (IANS) Iranian Foreign Minister Mohammad Javad Zarif said that the Islamic republic will maintain supports for Palestine's "resistance" groups, official IRNA news agency reported. "Iran will support the Palestinian resistance groups against Zionist (Israeli) regime's occupation and aggression," Zarif was quoted as saying by IRNA on Sunday. 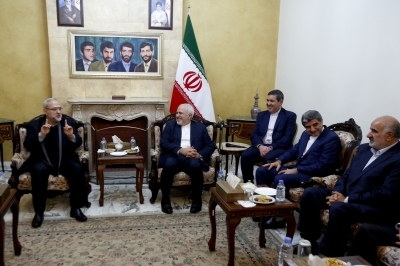 Zarif made the remarks in a meeting with the Secretary-General of the Palestinian Islamic Jihad movement Ziad al-Nakhala, in the Lebanese capital Beirut, Xinhua news agency reported. Ziad thanked Iran for its support for the Palestinian cause and the Palestinian nation. The two sides, discussed the latest developments in the "occupied" lands of Palestine. Zarif arrived in Beirut on Sunday to hold talks with senior Lebanese officials on the boost of ties.